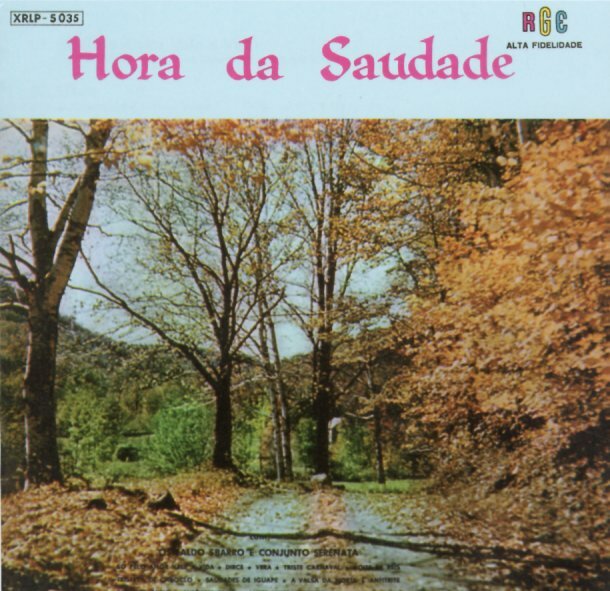 Osvaldo Sbarro definitely evokes an hour of sadness here – in a set of melancholy instrumentals that are almost a mellower transformation of a Brazilian choro mode – all delivered with help from his Conjunto Serenata! There's often a bit of accordion or woodwind in the lead – echoing the same blue-tinged lines from a jauntier choro tune, but slowed down a lot more here, and set to a bit of strings – with a mood that's a lot more late nite than the image on the cover. Titles include "Dirce", "Vera", "So Pelo Amor Vale A Vida", "Anfitrite", "A Valsa Da Morte", "Noite De Reis", and "Antes Nunca Te Visse". © 1996-2019, Dusty Groove, Inc.